The PADI “Adventures in Diving” program follows on from the Open Water course and provides the Open Water diver with a structured, well-supervised means to gain additional experience in new and exciting areas such as deep diving, night diving and navigation. Your dives are all part of PADI specialty courses, allowing you to rapidly expand your diving knowledge. We have many different options available with different destinations to suit all budgets. Start Now! You can get a head start on the PADI Advanced Open Water course by completing theory online using eLearning – learn at your own pace, at home or anywhere you take your laptop or iPad. You can sign up for eLearning at the PADI website, or contact us for more information. Prices include equipment rental, certification fee, PADI course manual, log book and insurance. All dive trips include breakfast, lunch and drinks. 10% Discount on the Advanced price if you have made the Open Water Diver course with us. 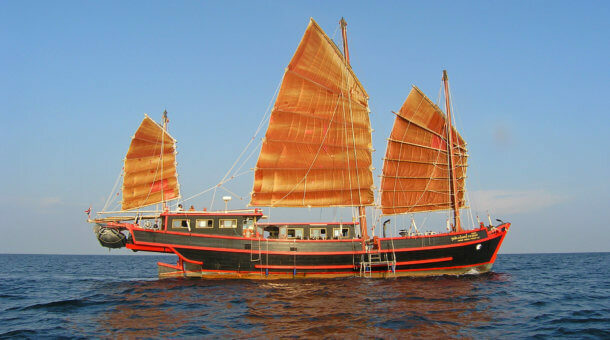 All liveaboards to the Similan Islands have the option of taking your PADI Advanced Open Water course during the trip. Why not combine the best diving in Thailand with a little fun education? 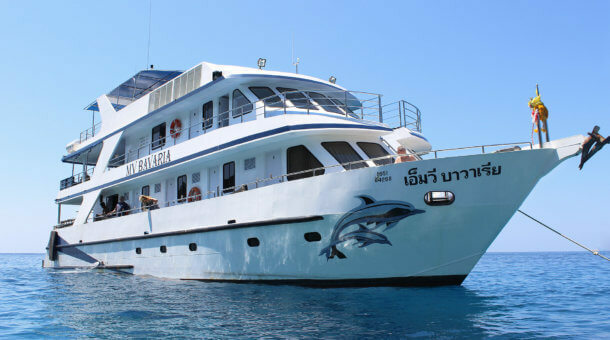 Liveaboards from 2 – 6 days are possible during the high season from late October to early May. 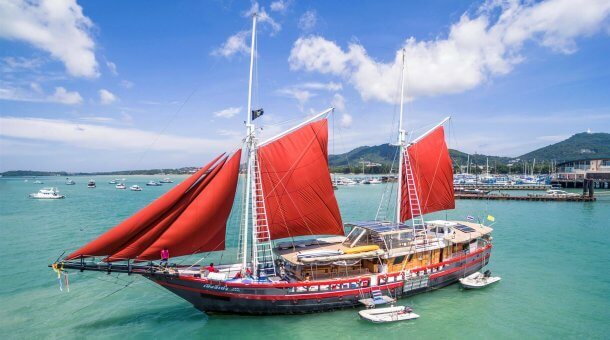 The additional cost varies from boat to boat, and is normally about 7,500 – 9,000 Baht. Ask us for more details. PADI also has the “Adventure Diver” certification, including any 3 dives from the Advanced Open Water course. This takes just one day, ideal if you are pushed for time, and can be done by local day trip. You can gain your Advanced certification another time simply by making 2 more course dives. For more information on this course see : PADI Adventure Diver. Combine the Advanced course with a Nitrox course and save 4,500 Baht! Advanced 14,500 + Nitrox 12,500 – Take the 2 for just 22,500 Baht! New underwater adventures – let’s dive! Move up a gear and experience fun and adventure with the PADI Advanced Open Water Diver course. You make five or six dives and have the opportunity to try some of diving’s varied specialty activities, such as deep diving, underwater photography, wreck diving and much more. These skills make diving so much more than underwater sightseeing. When you take this course you start to see how much diving has to offer and you build your confidence and experience. With your PADI Instructor you will complete deep and navigation Adventure Dives. These dives boost your confidence as you build these basic advanced skills. 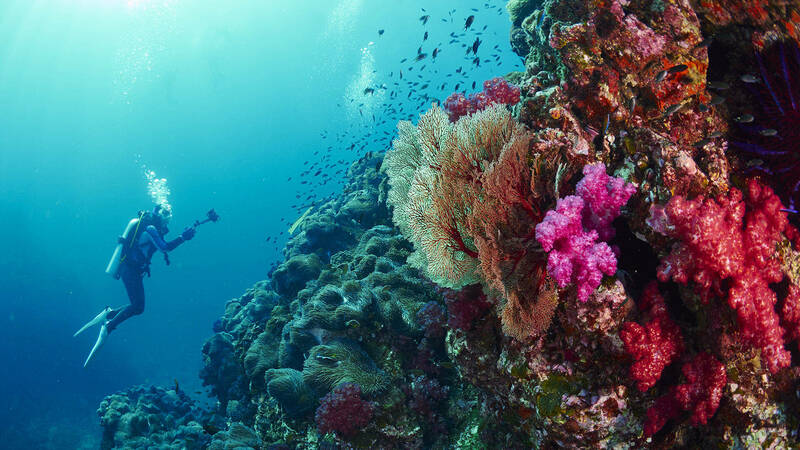 Then, you can choose three additional dives from more than 15 Adventure Dives to complete your course. 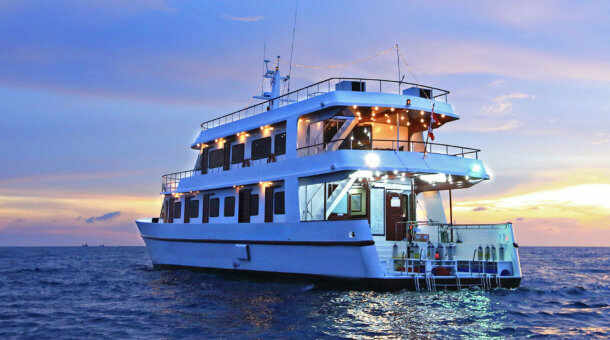 You can go diving at night (note: only on liveaboards), check out the local wreck, learn more about marine life, learn about drift dives, boat diving and more – all during your PADI Advanced Open Water Diver course. Day 1 : Start 7:45am, pick up from hotel, diving 2 dives at Koh Racha Yai, return about 4pm. Day 2 : Start 7:45am, pick up from hotel, diving 3 dives at King Cruiser Wreck, Shark Point and Koh Doc Mai, return about 5:30pm. Day 1 : Start 7:45am, pick up from hotel, diving 3 dives at Koh Phi Phi or Koh Racha Noi, return about 6pm. Day 2 : Start 7:45am, pick up from hotel, diving 3 dives at King Cruiser Wreck, Shark Point and Koh Doc Mai, return about 6pm. We suggest that you stay close to Sunrise Divers (we are at Karon Beach) when taking your PADI Advanced course. Ideally you should plan to visit our shop any day before your diving starts to complete paperwork, get your course manual and you can try equipment. On both diving days, pick up is from your hotel, pick up time 7:45am based on hotels in Karon or Kata Beach area. Pick up also possible from Patong. Other areas of Phuket may have an extra pick up fee.